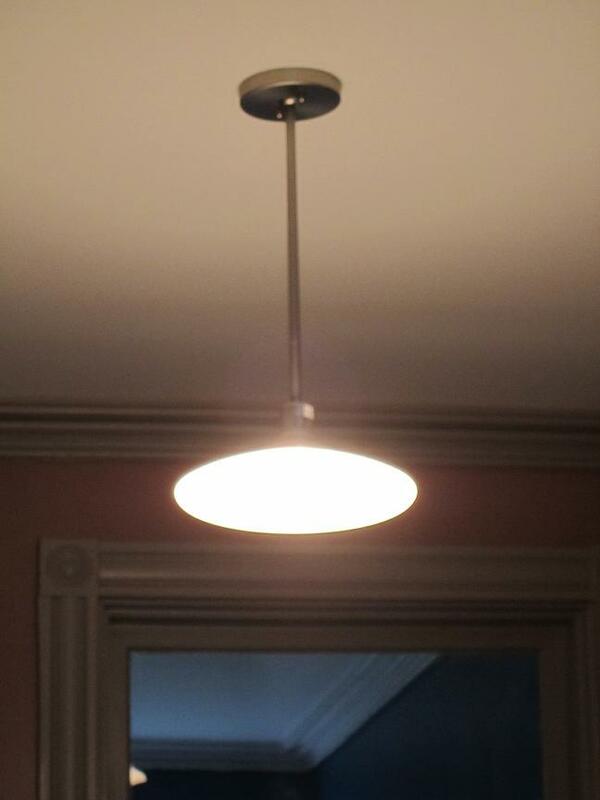 We as electricians provide many ideas about lighting to our customers based on our experience. Ultimately, the final decision falls on the homeowner. This can be an overwhelming experience because there are many options when it comes to lighting and enhancing the look of your home. Working with a homeowner on the decision to select a certain type of lighting can be challenging, but in the end, it also proves to be rewarding. Here are some options to consider when choosing lighting for your home. 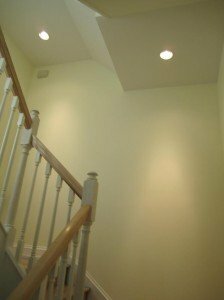 Recessed lighting provides an elaborate, contemporary look. But, deciding how and where to install them is very important. General lighting, task lighting, or accent lighting are some of the things to be considered. Sconces, or wall lights, are another possible lighting option for your home. Sconces can supplement the lighting in a room or stand out as a decorative look. 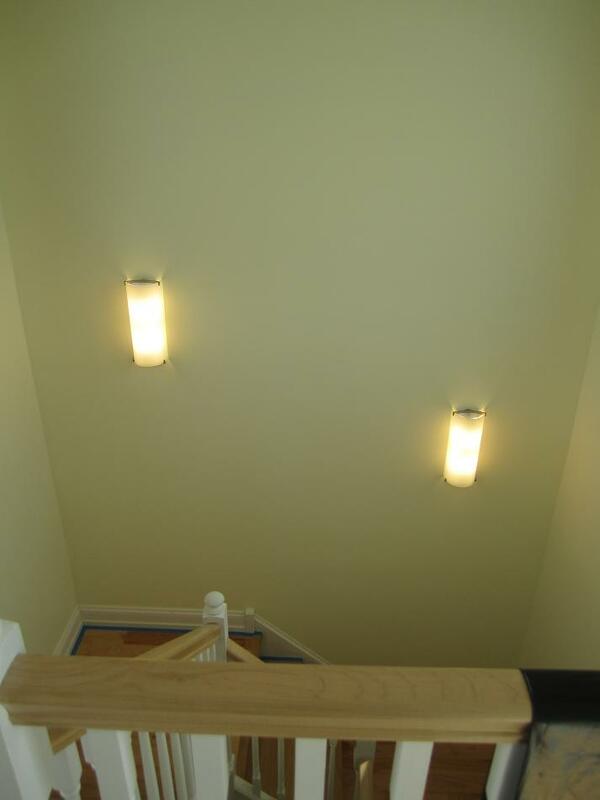 Below are images of options for lighting up your stairway. Wiring and installation by Lauterborn Electric. Surface, or down lighting, is the traditional way to light up a room. A chandelier or pendant light can give a room elegance and style. Ceiling fans can not only circulate the air in a space, but can also enhance the look of a room. You can use one of the options above or a combination in order to provide the most balanced lighting for a home. 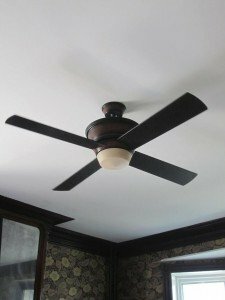 Below are images of a down light and a ceiling fan installed by Lauterborn Electric. 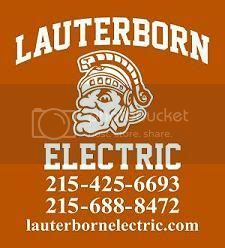 For all of your lighting needs contact your licensed electrical contractor, Lauterborn Electric.